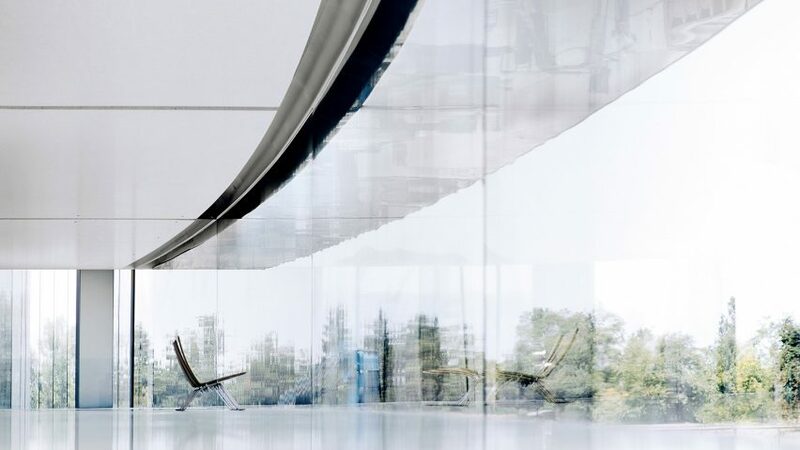 Emergency services have treated Apple staff for injuries caused by walking into glazed walls at the company's new Foster + Partners-designed Apple Park campus in Cupertino, California, according to reports. The $5 billion (£3.6 billion) campus features numerous glass walls, which are being misjudged by users of building causing collisions and resulting in several people receiving medical treatment. Documents obtained by business news outlet MarketWatch, state that at least two men received treatment from emergency services for minor cuts to the head after colliding with glazing. Staff have reportedly taken to sticking Post-It notes on the glass in an attempt to draw attention to the hazard. However, these were removed for detracting from the building's design according to a Bloomberg source. California's workplace safety laws require "conspicuous" markings on glazing to ensure employees are protected against walking into it. Seven people "physically hurt" themselves on the first day the Apple Park campus opened, claimed Twitter user and San Jose resident Kenn Durrence, who appears to be the source of the news. After eight years in the making, staff began moving into the campus commissioned by Apple's chief designer Jonathan Ive in April 2017. Some workers used to private offices or cubicles were quick to revolt against the open floor plan of the new ring-shaped campus designed by British studio Foster + Partners. The plan centres around large open workspaces and shared tables referred to as pods, which are divided by full-height glass doors and walls. Dezeen has approached Apple and Foster + Partners for comment, but at the time of publication had received no response. The reports follow a string of issues with Apple's latest products. Early criticism of Apple Park has come from Wired, which claimed the building is "retrograde, literally inward-looking" and lacks consideration for its surroundings. Last week's launch of the Apple HomePod was marred by claims that the speaker was causing damage to wooden furniture, and at the end of last year the tech company was hit by multiple lawsuits after revealing it intentionally slowed down older iPhone models via a software change.